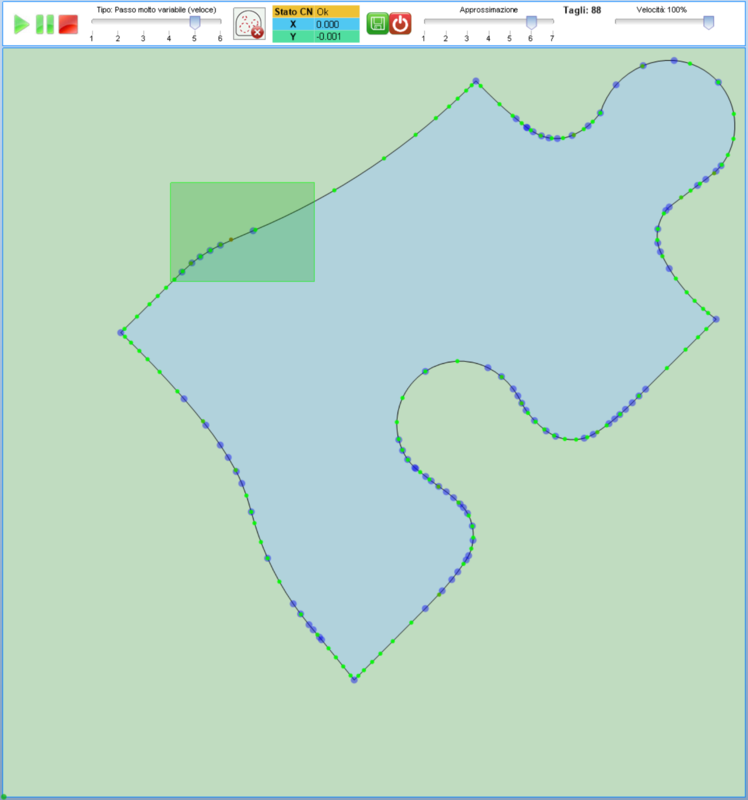 Acquires shapes that can later be edited by CAD and selectable by Perfect Shape. Arraging the template on an enabled cutting table the software will scan the shape and internal holes with a smart algorithm which follows the template edge. Selecting a scanning preset allows to adjust the acquisition speed based on the complexity of the shape. When the scan is completed you can move the approximation preset that changes the parameters of the spline interpolator with preconfigured values, choosing the approximated curve that best represents the original shape. The acquired points are highlighted with a variable color between green and red. The color represents the distance of the acquired point from the calculated curve. By placing the cursor on the points the error is displayed. The number of entities (arcs & lines) that compose the shape is shown. If more accuracy is needed in a certain area, you can re-scan the surrounding area by simply selecting it with the cursor. When selected, the machine scans the area carefully.